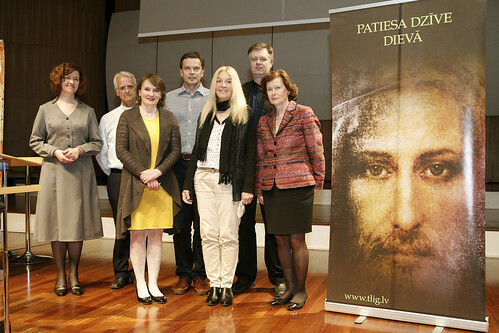 From April 30 to May 2, 2016 Vassula visited Riga, the capital of Latvia, together with Fr. Rolf. Just after their arrival on Saturday evening, April 30, there was a meeting held with Vassula and the people from the TLIG prayer groups, some media people and also some clergy (catholic priests, a cardinal and a Lutheran pastor). It was a very lively discussion where everybody shared what touched them most in the messages and many asked Vassula questions. Fr. Rolf also gave his testimony. On May 1 in the morning, Vassula gave two interviews and in the afternoon the main meeting took place at the concert hotel at the very center of Riga. 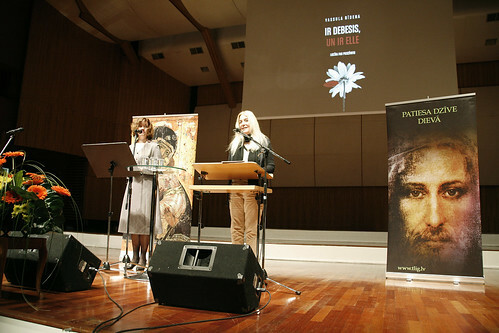 Vassula gave a speech and afterwards signed the new book "Heaven is Real but so is Hell" [HIR] that was translated into Latvian and is already available in bookstores in Latvia. 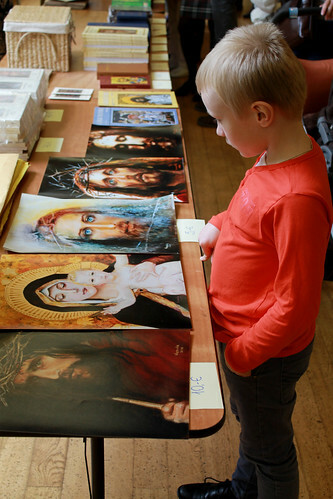 At this event, people could buy the HIR book, the one volume book in Latvian, the TLIG prayer book and other books in Latvian, along with pictures and DVDs. Before Vassula's speech there was a small concert held by two musicians. 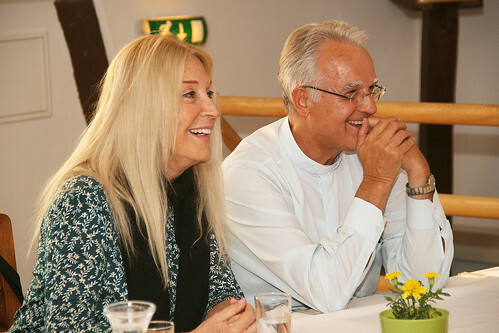 One of them, Per-Olof Davidsson came to Latvia from Sweden, especially for this event. 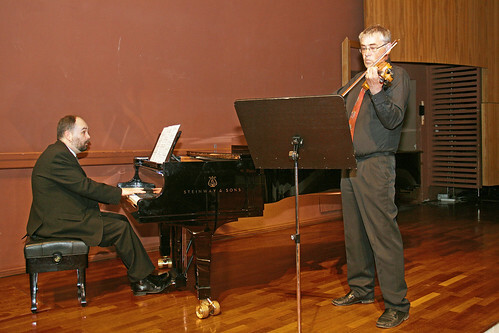 He played the violin and one of the compositions he wrote was inspired by the messages. Moreover, people were able to enter the meeting hall one hour before the main meeting, so they could sit and additionally listen to the pre-recorded True Life in God messages. 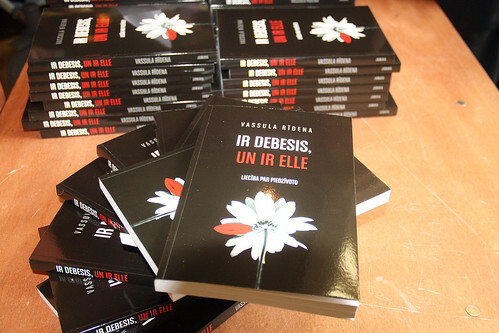 Finally, the people were gifted two CDs with all the recorded TLIG messages from the one volume book. As a culmination of gift-giving, a woman from the society of blind people received the recorded messages and was very happy. TLIG Latvia thanks Vassula and all who helped to organize this visit.